Designed to serve the needs of people in wheelchairs, automatic doors are convenient and safe thanks to high tech opener systems. 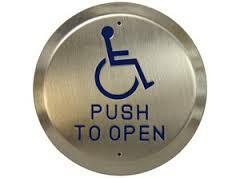 If you need services on your handicap door operators in North York, Ontario, don’t hesitate to contact our company. Need help with a specific problem? Want to know more about the recent opening systems in Ontario? 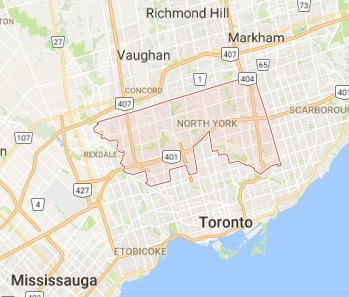 As an experienced company in all security systems, North York Locksmith can answer your questions and do the required repair or installation services. Our specialized technicians are qualified to both install and repair commercial and residential handicap door openers. Such systems are controlled by remote controls, which are usually attached to wheelchairs but also by wall push buttons and other activating devices. We install low energy residential door openers to meet the demands of the client and his property. Interested in heavy duty commercial handicap door operators? The locksmiths of our company are qualified to install such high tech systems made by any brand. With respect to the client’s needs, we can make recommendations to facilitate their entrance and make the installation of the new opener at their convenience. 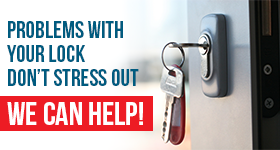 The team of our Locksmith in North York is at your service when problems pop. Did the backup battery fail to work? Is the door not closing at the right pace? We can make the necessary opener adjustments and fix any problem. Want emergency handicap automatic door openers service? Count on the fast response of our technicians. Every single technician in our locksmith team is equipped to fix and replace parts of the automatic system. Our North York team covers your emergency handicap door opener repair needs, but also offers maintenance. With annual inspection, our company can keep your automatic operator running safely for years. We reset it and make adjustments if it is needed and can service it to protect you from accidents or problems. From fixing the door closer to replacing the door opener, trust our company for your needs in North York, Ontario. Call us now if you need emergency handicap door operators North York repair.